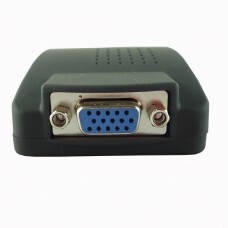 This RioRand adapter box is VGA/S-video/BNC to VGA converter switch. 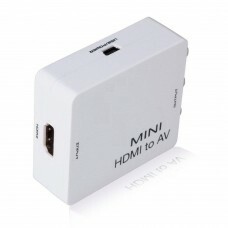 It has VGA, S-video and BNC inp..
Specification:1. Input ports: 1xRCA (Yellow, White, Red).2. 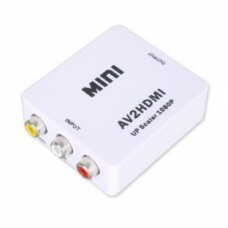 Output ports: 1xHDMI.3. Dimensions (mm):.. 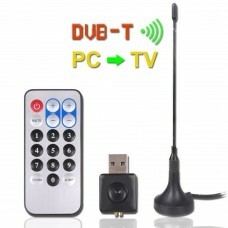 Features:No need to install drivers, portable, flexible, plug and play.Low power, No power adapterSu..
Specification:Input terminal:75 ohmInput frequency:174 MHz-230 MHz;470 MHz-862 MHzCarrier type:2K/8K..